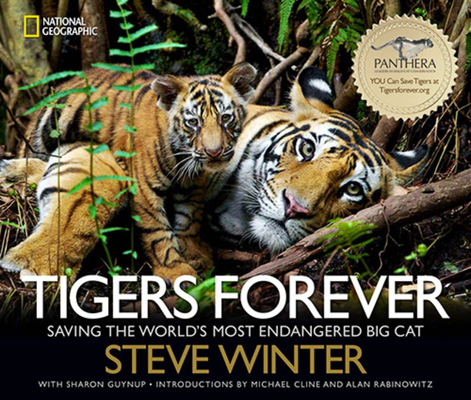 STEVE WINTER is a renowned wildlife photographer who began shooting for National Geographic in 1991 and has produced stories for GEO, Time, Newsweek, Fortune, Natural History, Audubon, BusinessWeek, Scientific American, and Stern, among other publications. He has been recognized with numerous international awards, including first place in the 2014 World Press Photo's nature story category and was honored in 2012 as BBC Wildlife Photojournalist of the Year. SHARON GUYNUP writes on science, wildlife conservation, and environmental issues. Her work has appeared in publications including Smithsonian, Scientific American, The Huffington Post, the Boston Globe, BBC Wildlife, and Audubon. She launched the State of the Wild book series analyzing the status of the world’s wildlife and wild lands, published by Island Press, in 2006.